Hello, all! 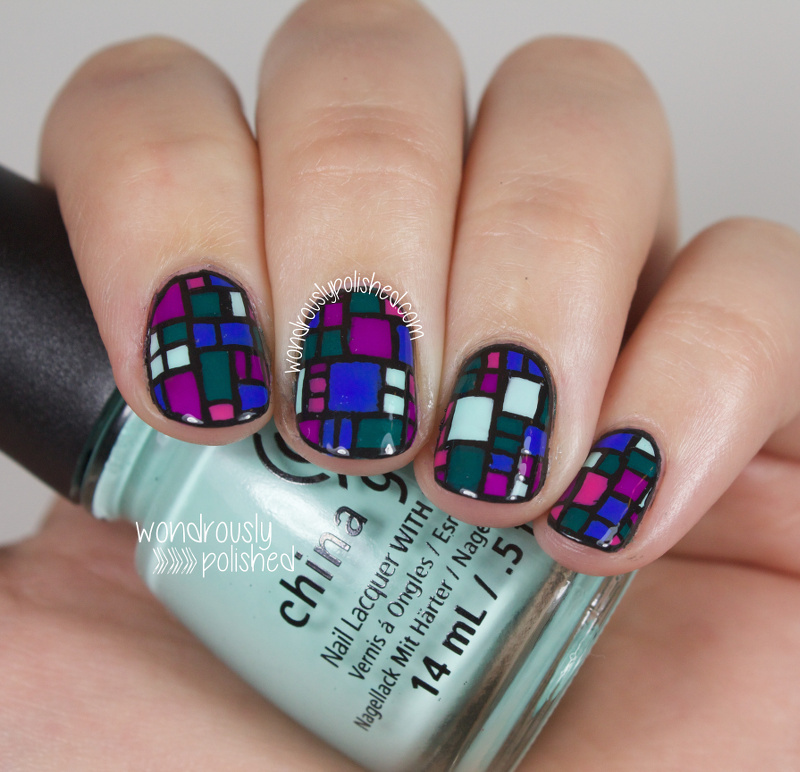 So I'm hoping that after today's post I will finally be back on track with the Nail-Art-A-Go-Go challenge! I was technically supposed to do post these yesterday, but I was just so exhausted from work that the thought of editing photos made me cringe ;) I am once again sleepy tonight so I'll keep this post short and sweet. Today's theme for the NAGG challenge is Neon! 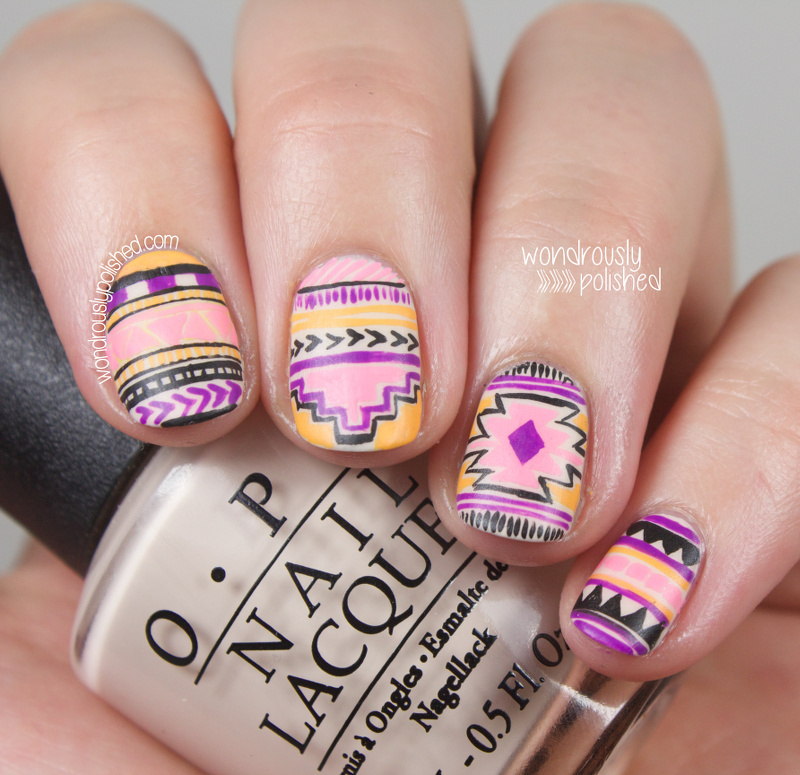 And, because I haven't done tribal in forever, I decided on a neon tribal look. Hello, all! Sorry for my brief hiatus - this cold really took it out of me. If that wasn't enough, I had planned on posting this look yesterday so that I would be back on track with the Nail-Art-a-Go-Go challenge, but my cable and internet provider decided to take a dive in our area all weekend so I'm only just able to use the internet. I don't know how we ever survived without the internet...I was dying without it! I wanted to create a look the encapsulated the bright cheeriness that the color evokes for me, while also creating something that was somewhat fashion forward and chic. 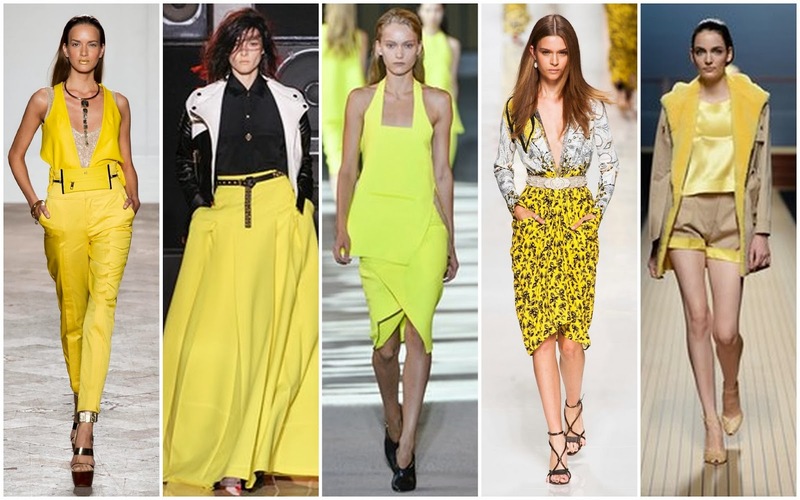 I was browsing the web yet again for inspiration, and came across this grouping of yellow outfits for spring/summer. 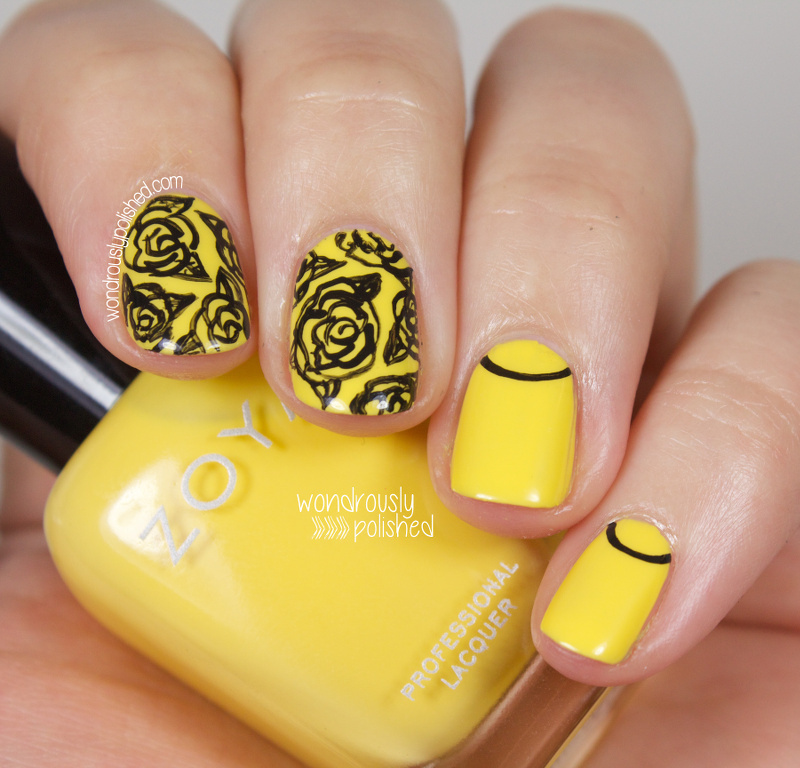 I of course fell in love with the outfit sporting the yellow and black (you guessed it!) flowers! 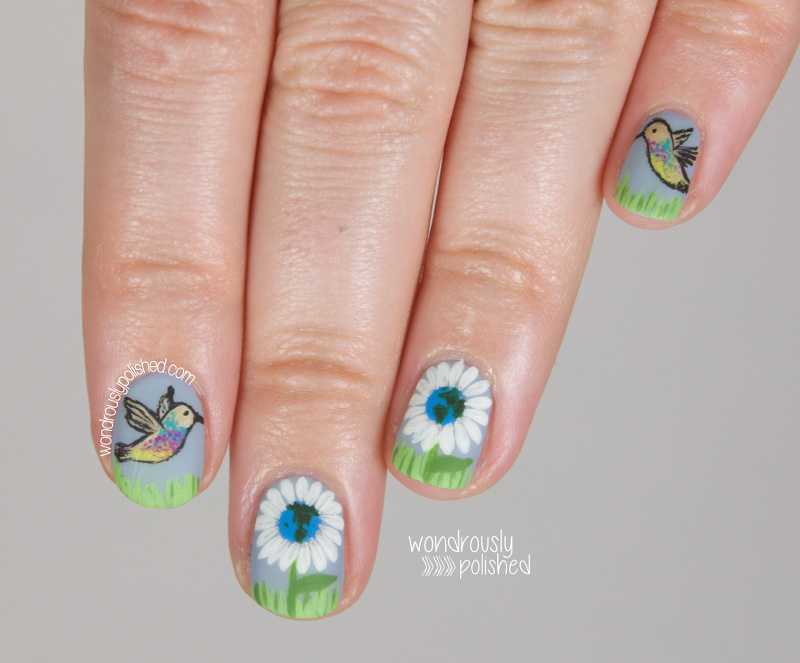 The second look from the right in the inspiration photo spurred this mani forward and I think I like how it turned out. Hello, all! 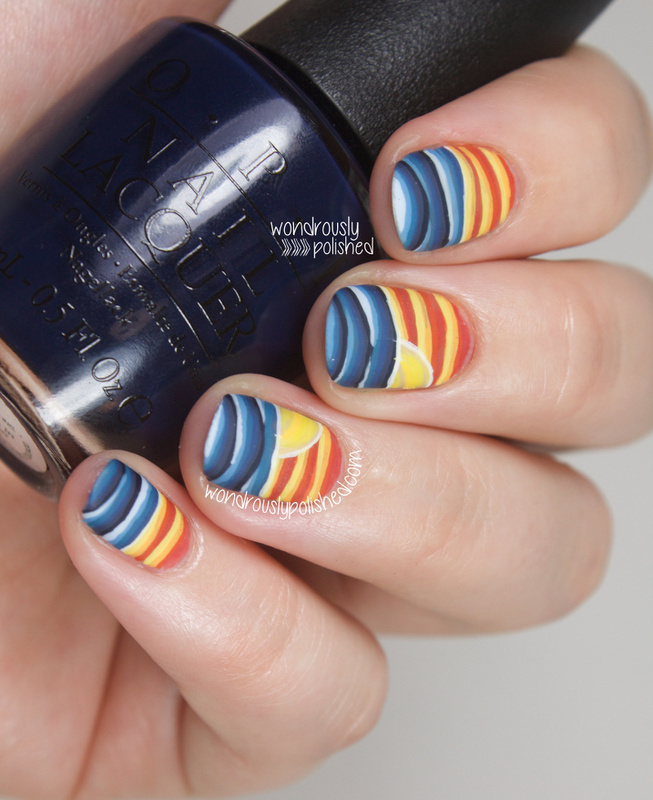 Hope you had a great weekend - mine was good until I got sick :( I'm really struggling with it right now and it took me about 5 hours to get this mani and post together because I kept needing breaks. Really hoping I feel better soon, but I'm not going to hold my breath. 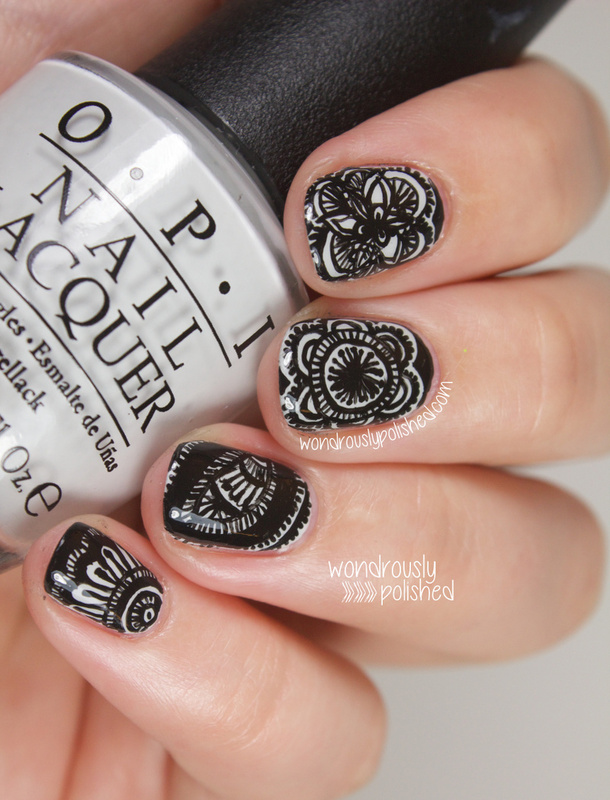 Anyway, day four of the Nail-Art-a-Go-Go challenge is Monochrome! The Digital Dozen does Texture - Day 4: Fuzzy Violets? Hello, all! Anyone else exhausted? ;) I'm pressing on though and have day four of Digital Dozen textures week! I really wasn't sure what I was going to do for today's mani, but I knew that I wanted to use the purple flocking powder I mentioned in yesterday's post. I thought it would be a fun way to add texture to today's mani and since I've never used, it gave me a chance to try something new. 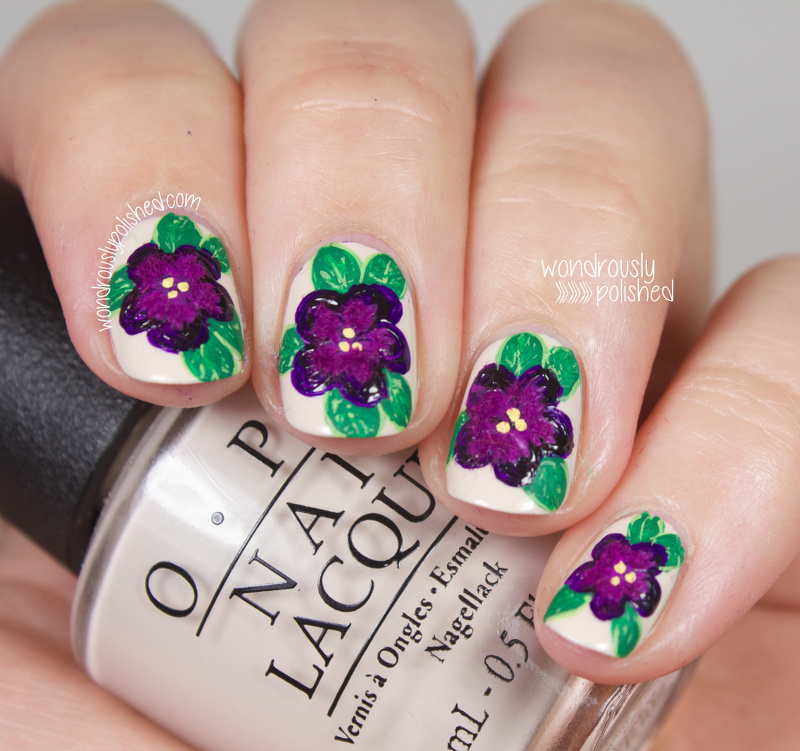 I decided to start searching online for fuzzy purple things...and then just purple things...and then, since I was sad about taking off yesterday's mani, I searched for purple flowers figuring I could replace one flower with another. And violets were one of the things that showed up! This has been a tough challenge week for me and I'm flying by the seat of my pants to an extent as I don't know what I'm doing until the night of. I was trying to think of things I wanted to paint, and then see if I could fit that to meet the "textured" theme...and since I love my florals, I wanted to paint flowers. 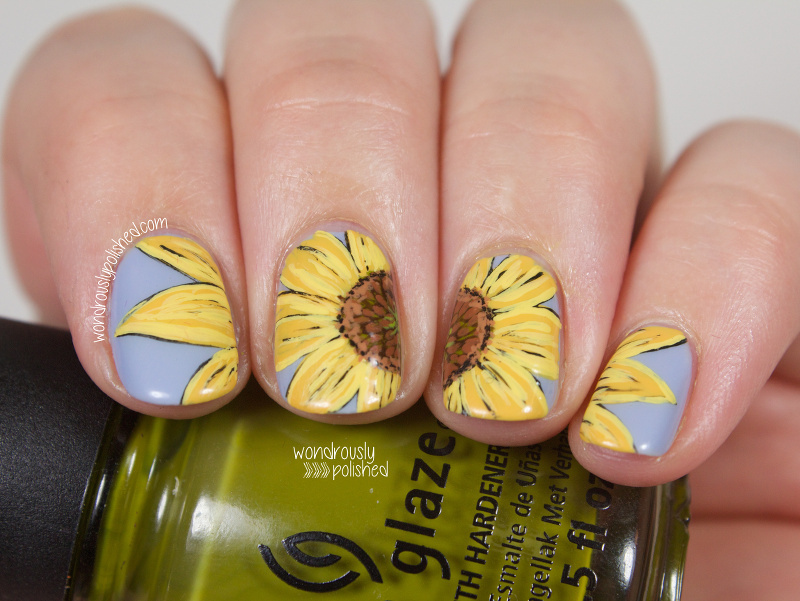 I started thinking about flowers with a lot of texture and sunflowers came to mind immediately. Not only are their petals full of interesting ridges, the seeds in the center provide a ton of textural interest. Anyway, my epiphany was hair. 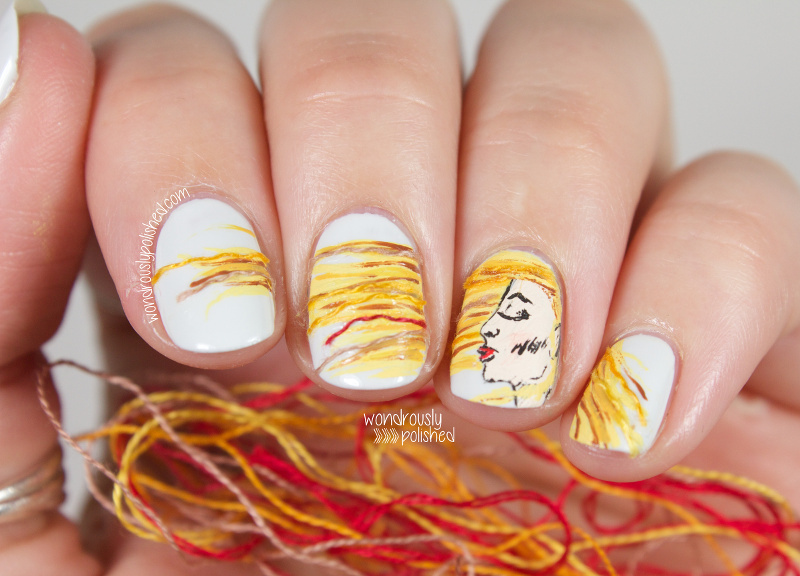 Yes, normally I would cringe at the thought, but I mulled it over a bit more and the idea of painting a girl, with her hair blowing in the wind wouldn't leave my mind's eye. 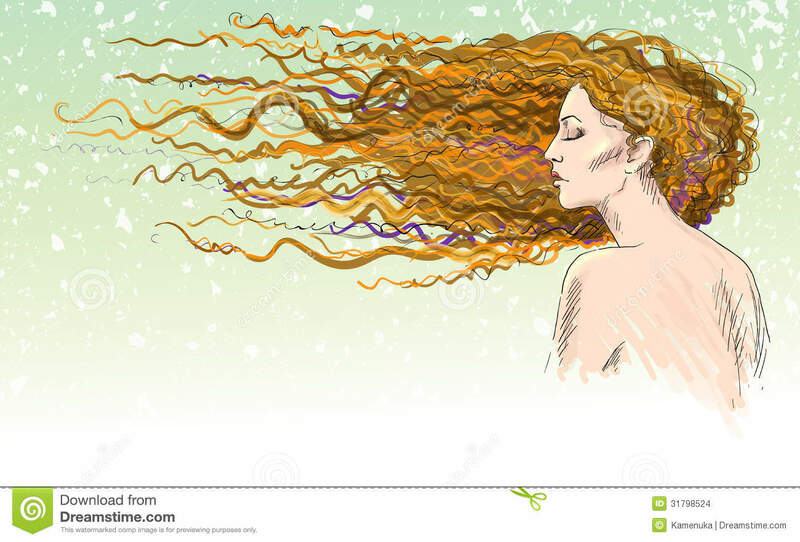 When I got back to my desk I browsed the web to solidify my idea in my mind and came across this beautiful drawing of a girl with hair I'd kill for and who became my inspiration. Hello, all! 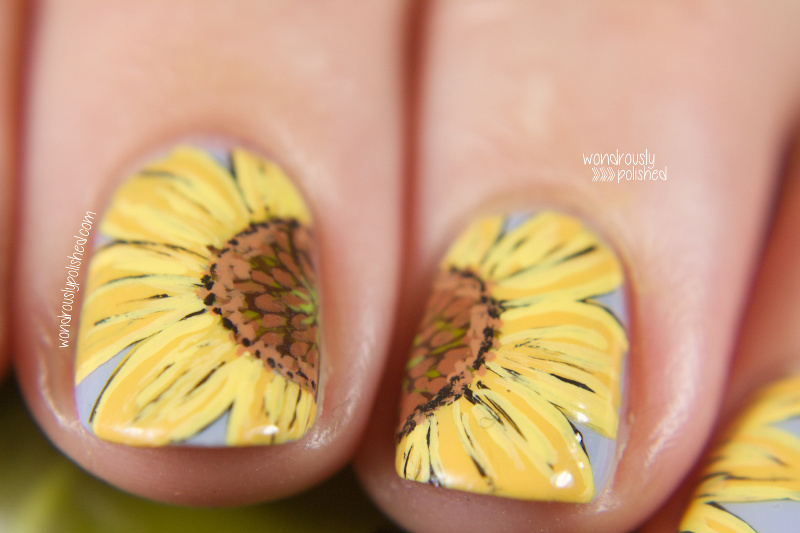 This coming week may very well be my busiest nail art week ever! 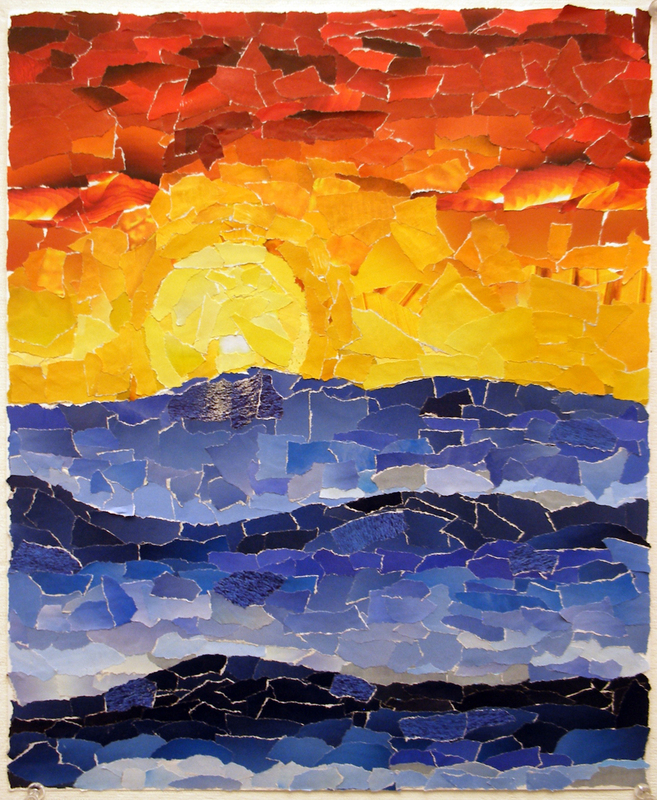 It's Digital Dozen week once again (this time our theme is Texture!) 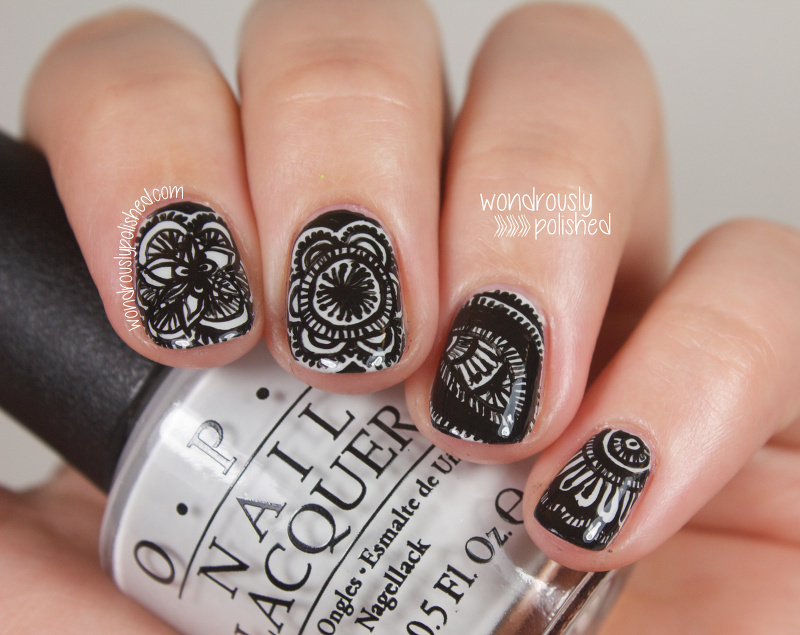 and I'm continuing on with the Nail-Art-A-Go-Go challenge today and Thursday. 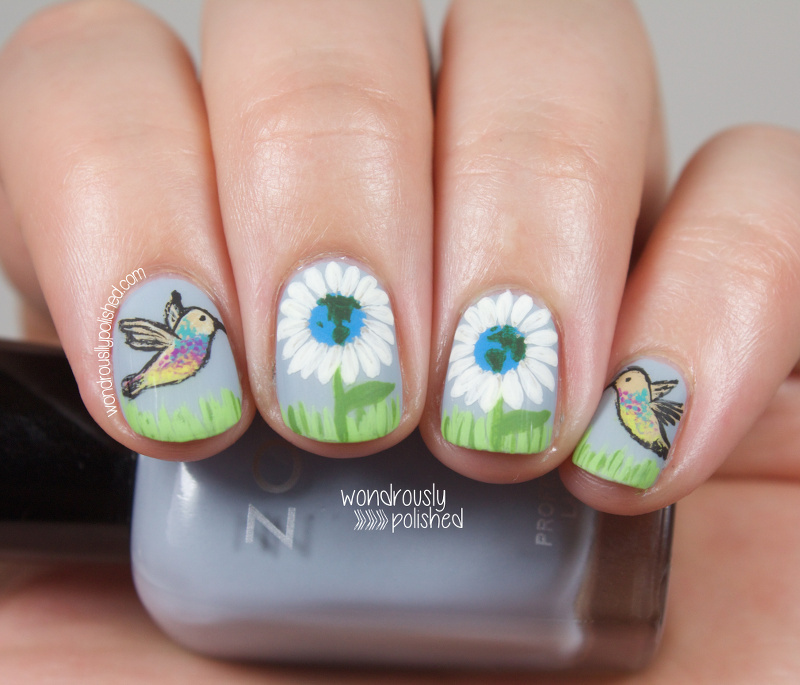 Since that's not enough, I'm hoping to also squeeze in a few Easter themed manis! Can someone put more time in the day for me?? Very exciting news in the Digital Dozen world is that we have 4 new extremely talented ladies joining our ranks! I can't wait to see what they come up with and I know we will enjoy having them be apart of the group. I can't believe that this is my 6th DD week. Time sure does fly. Hello, all! I'm so glad it's Friday. 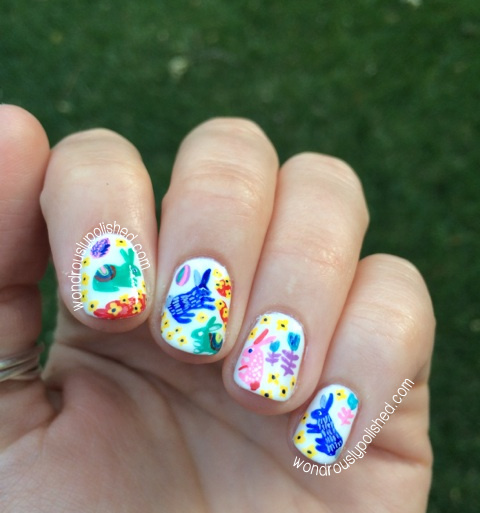 I had a rough work week and fell behind on my Nail-Art-A-Go-Go posts almost immediately! How sad is that? 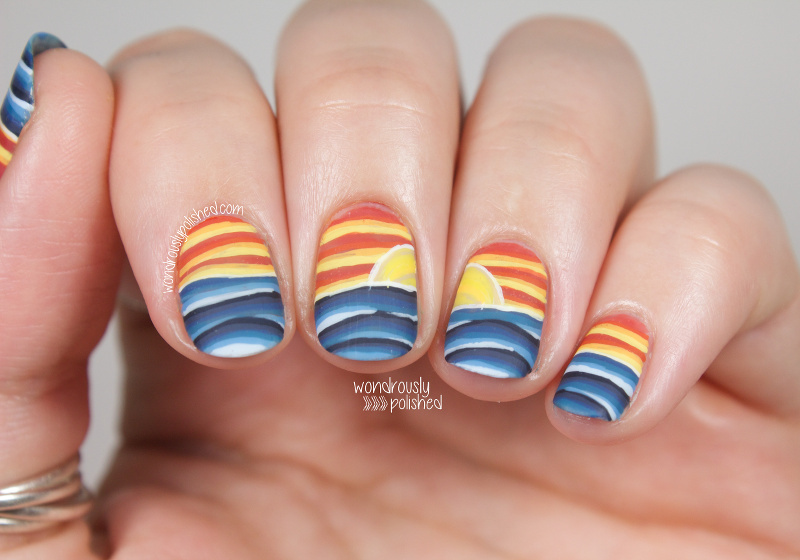 Haha I hope this doesn't happen too often in the future, but sometimes you just can't force nail art. Luckily, Mireia is still on track! Day two of NAGG is Jewel Tones (Nail-Art-A-Go-Go is SO long and there are hyphens in there and ugh, I'm lazy so it's acronym time!). I think this theme was part of why I couldn't get motivated after work Wednesday and Thursday. This was also the theme that was the nail in the coffin for me last time I tried this challenge as I could not come up with anything for it (yes, day 2 was my breaking point). While I love jewel tones individually, I don't really love them together - it feels a bit overwhelming to me - so I had no clue what to do. Hello, all! Happy happy hump day! 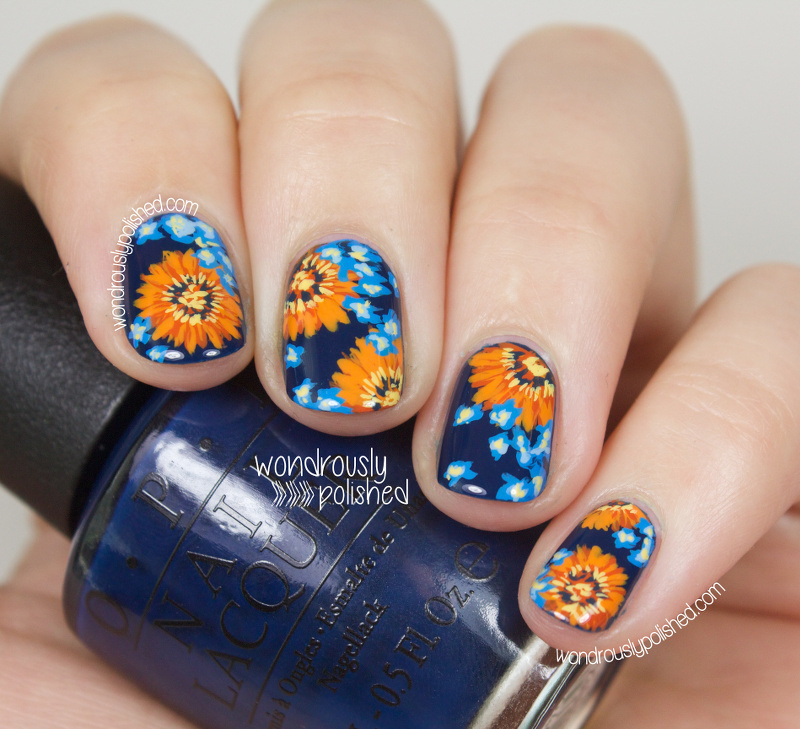 ;) Today I have my second Beauty Buffs post to share with you all! I'm so loving being apart of this group of talented ladies and I can't wait to see what they've come up with for our second trend - Royal Blue! 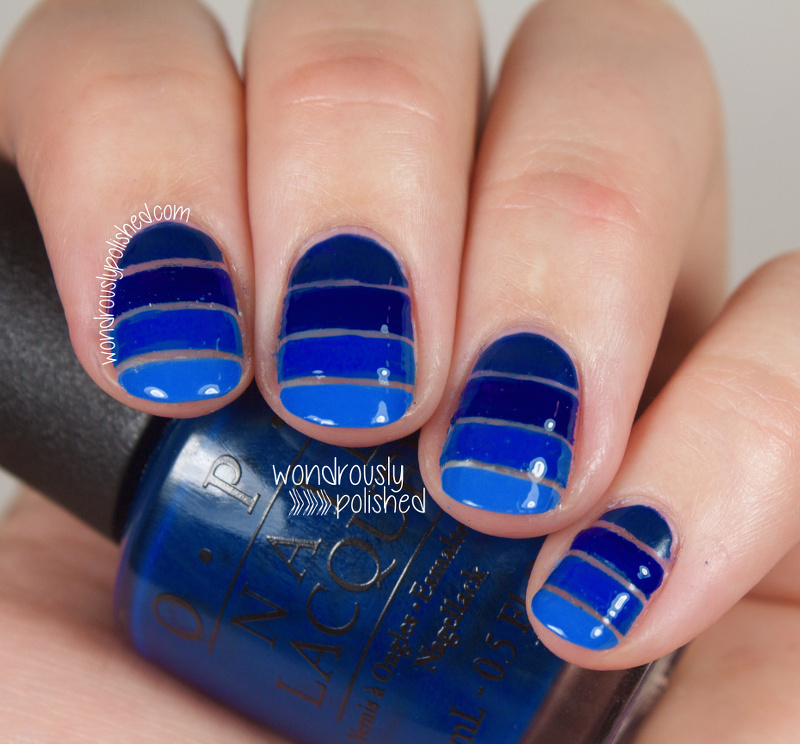 Now, there was some discussion amongst the Beauty Buffs as to what exactly a royal blue was. If you do a search online, you'll find royal blues of the dark and light variety and it leaves some wiggle room for the definition of the color. When I was thinking of what I was going to do for today's look, my mind wandered to a simple gradient...which evolved into a new take on a gradient...which turned into a paint swatch?! Here is my cutout paint swatch gradient! Hello, all! Happy Monday (at least as happy as it can be)! 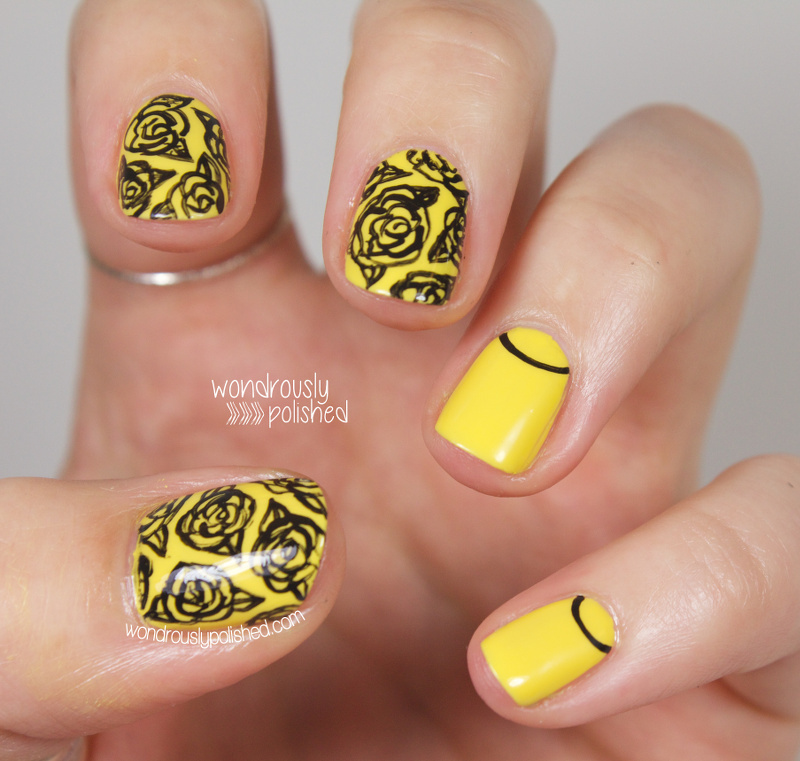 Today I finally have a purely nail art post to share with you all! 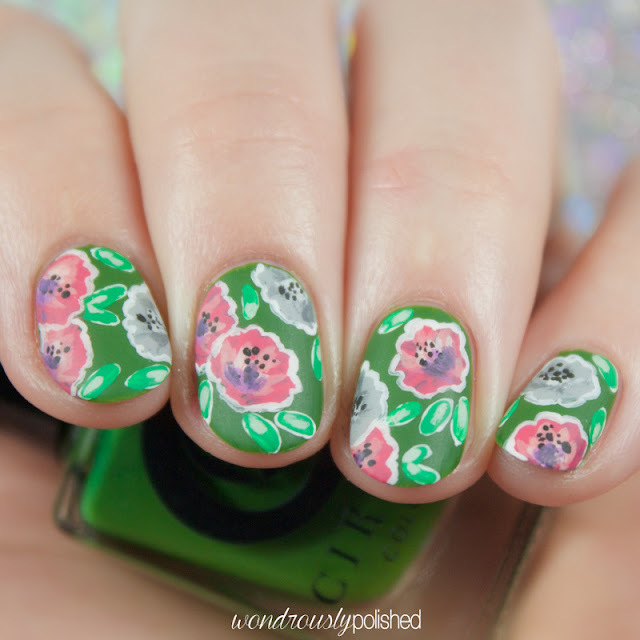 If you'll recall, at the beginning of February I had planned on completing the Nail-Art-A-Go-Go challenge put on my Missy over at Gnary Gnails...and if you'll also recall, I failed miserably at keeping up with it. I loved the themes in the challenge so much though that I had hoped to eventually revisit it at some point. The Childhood Treats collection, was inspired by, well, Stacey's favorite childhood sweets! 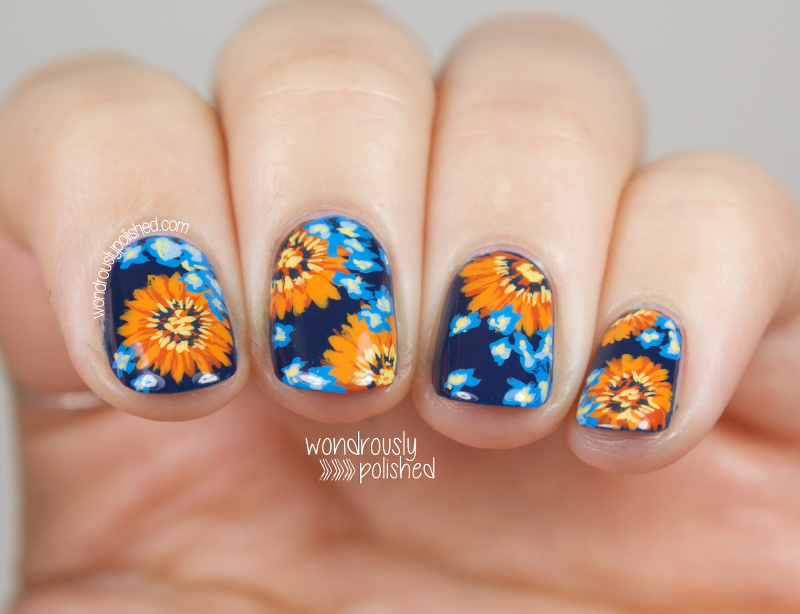 I really enjoyed that the colors and polishes were all different, yet were still cohesive through this theme. Growing up in the US, I only knew of one of the treats that inspired these polishes so it was fun for me to research each of them and see what kids in Australia grow up enjoying. Let's take a look! Hello, all! 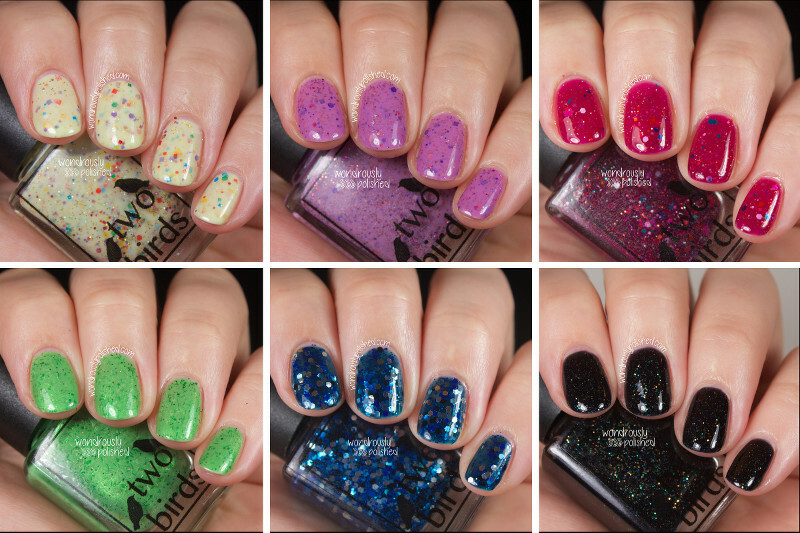 I've got some swatches of this month's collection from "The Glitter Box" as well as some nail art to go along with them! I'm trying to do nail art in conjunction with swatches as often as I can now, and though it's incredibly time consuming, I'm loving being inspired by these gorgeous indies. I reviewed March's Glitter Box last month and was so excited to get the opportunity to do so again this month as I'm loving these indie makers. Once again, this box includes a polish from The Juice Box Lacquer and Kawaii Lacquers (though Fat Lacquers is on hiatus since she just had a baby - congrats! ), with the guest indie being Lavish Polish. I apologize in advance, this is a pic heavy post because I was so excited about these!